Paxton have always been innovators and their latest entry solution is no different. The Paxton net2 entry is slick in design and keenly priced. The Net2 entry offers an excellent solution for installers and end users alike. 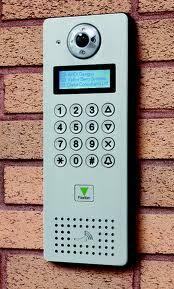 Priced to compete with the very best in door entry systems, Paxton have a little gem here. “Net2 Entry is the simplest door entry system available, comprising just three components that offer a true plug and play solution. This entry was posted on Monday, July 2nd, 2012 at 20:38	and is filed under Access Control. You can follow any responses to this entry through the RSS 2.0 feed. Both comments and pings are currently closed.